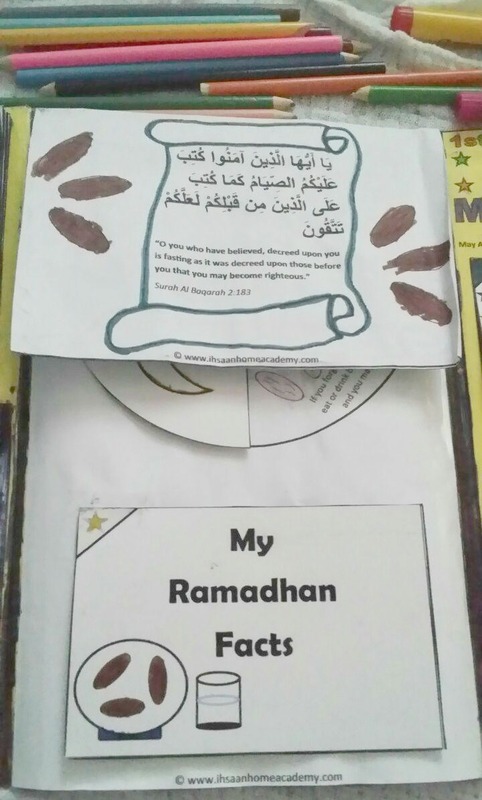 Here are two ahadith that I wanted to share as a reminder for the last 10 nights of Ramadhan. May Allah grant us success. If you're a homeschooler or plan on homeschooling, then you know that failing to plan is to plan to fail. Planning is very crucial when it comes to almost everything in life. As an educator, the last thing you want is to start looking for what to cover for the day at the last minute. The best thing is having the whole week, month, or even months planned to save time and avoid mental torture. If you're looking for a free planner, then this printable may be for you. There are many different types of planners on the net, and each person is looking for something different that suits his/her needs. 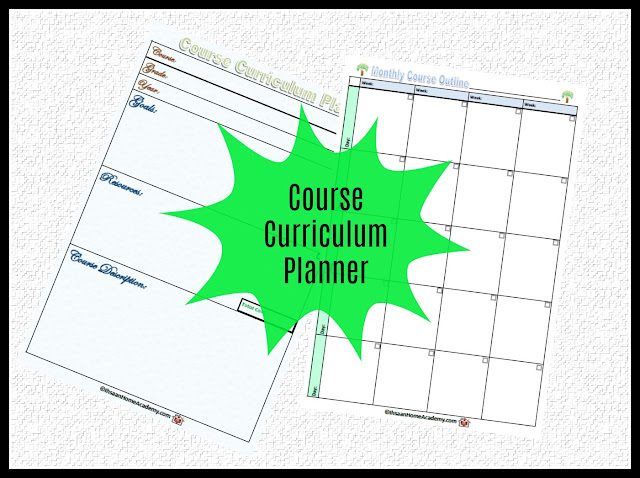 This planner is specifically for planning individual courses at a time. 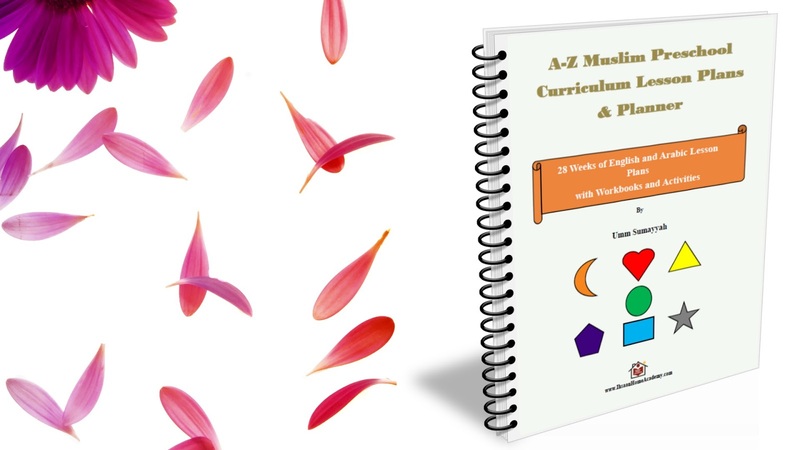 If you are a home educator who prefers setting up her own curricula instead of out-of-the-box curricula, then I believe this planner would be perfect for you depending on how you plan. 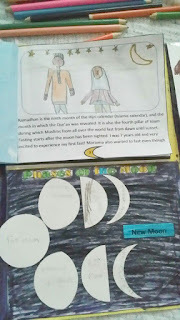 It could also be used for a ready-made curriculum if you plan on not strictly following the curriculum planner. 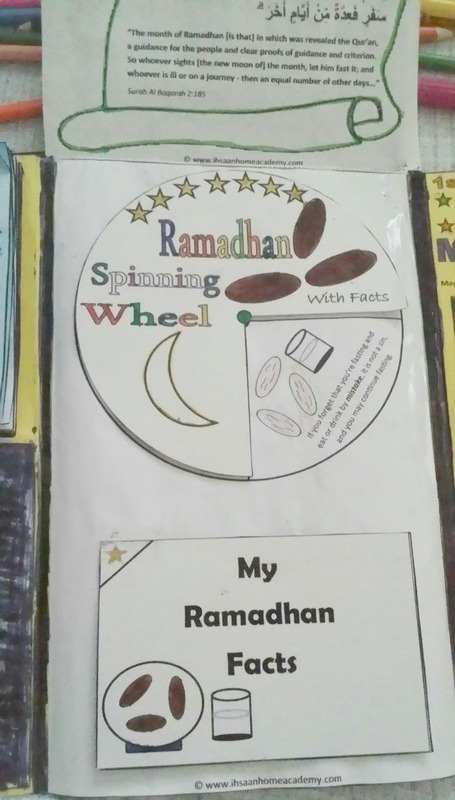 You can also use it to mix a ready-made curriculum with supplementary resources. 1. 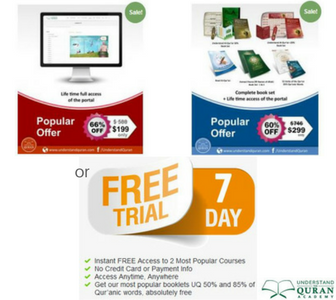 Print as many copies of each sheet depending on how many courses you wish to plan for. 2. 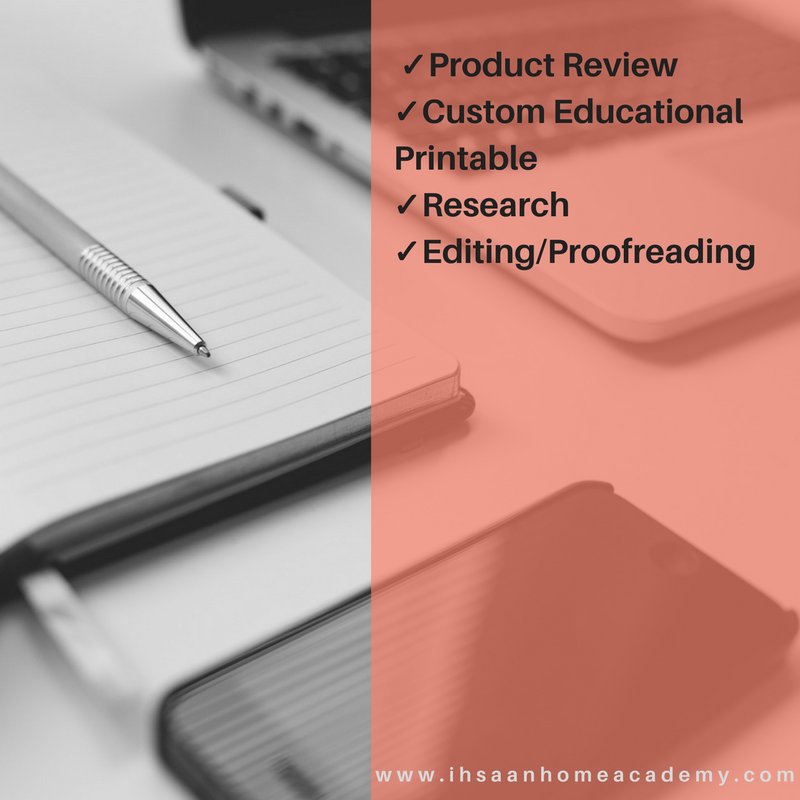 Write the information of the course such as the name of the course, the grade level, year, goals for the course, resources you plan on using, total cost, and a detailed description of the course. 3. Make a yearly plan for each month using the yearly planner page. 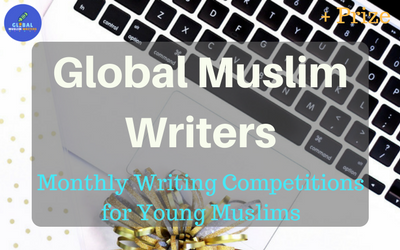 Write down the lessons you wish to cover for each month, and resources to go to. 4. On the monthly planner page, write in much more details the lesson you wish to cover for each week and days of the week (i.e. books, pages). 5. 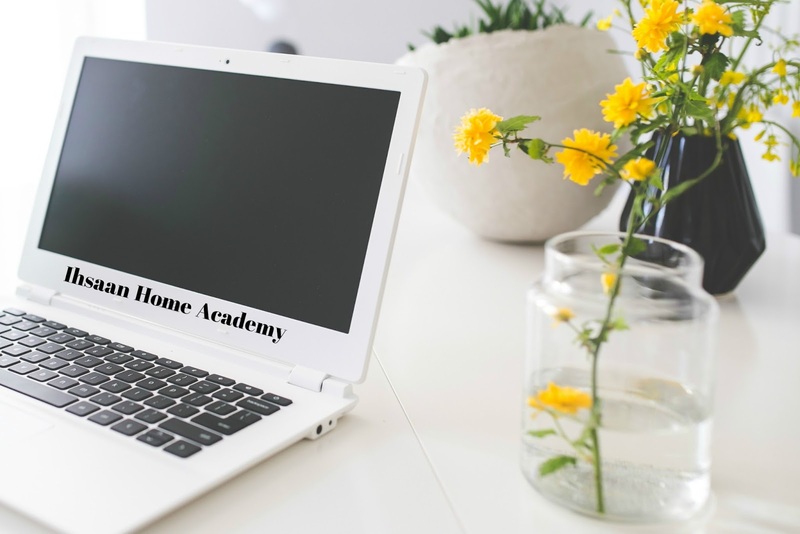 You may use this planner as your only homeschooling planner or additionally use a weekly planner for multiple courses while referring to your planned courses from this planner. 6. 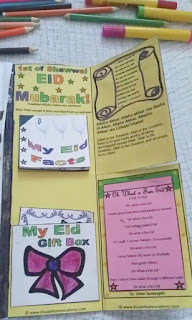 You can also use this planner as an independent learners' planner. 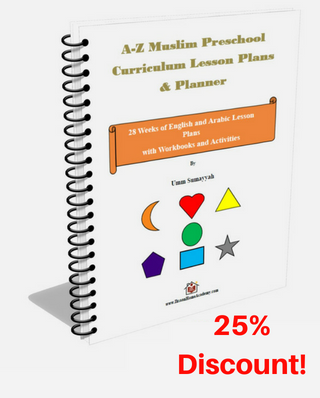 If you have bigger kids who learn independently, they can use this planner (after you have written the course details) and check the accomplished lessons as they go. *You can laminate the pages to reuse them multiple times if you wish. You can also write on it using erasable pens. 1. Plan out all my courses using this planner since I prefer making my own curricula. 2. 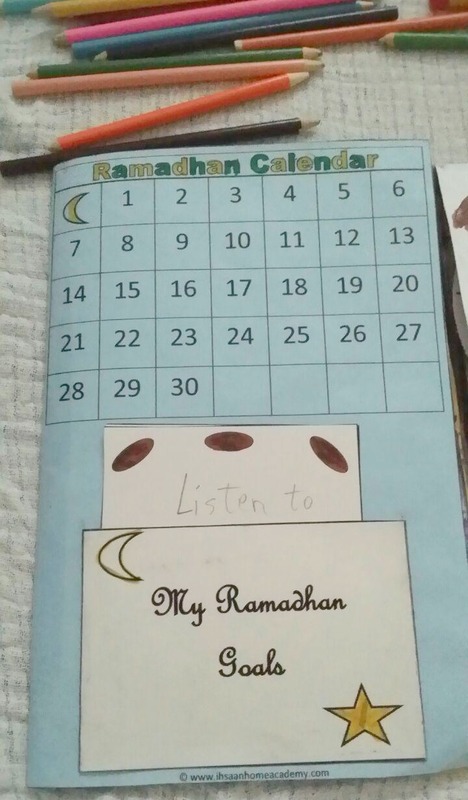 Use a weekly planner for multiple courses for my day to day planner; but refer to my course planner to see what the next lessons throughout the year are inShaa Allah. 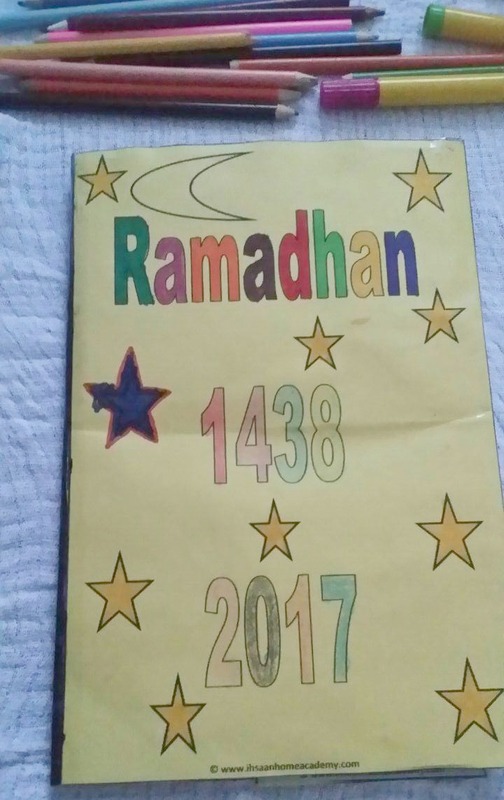 I hope this planner will benefit you inShaa Allah. If you have any questions, please do not hesitate to contact me and I will respond as soon as possible inShaa Allah. To purchase this printable, click HERE. Exercising is very beneficial for our health, so it's important to setup some type of workout routine. It's easy to forget and let the weeks go by without moving around, so planning is the key. 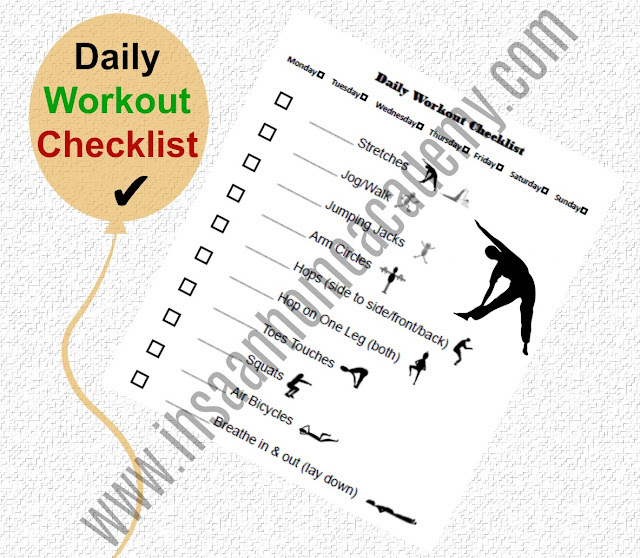 Here's a daily workout checklist printable that I put together. Anyone can use it; although, you should check with your health provider if you're ill or pregnant. 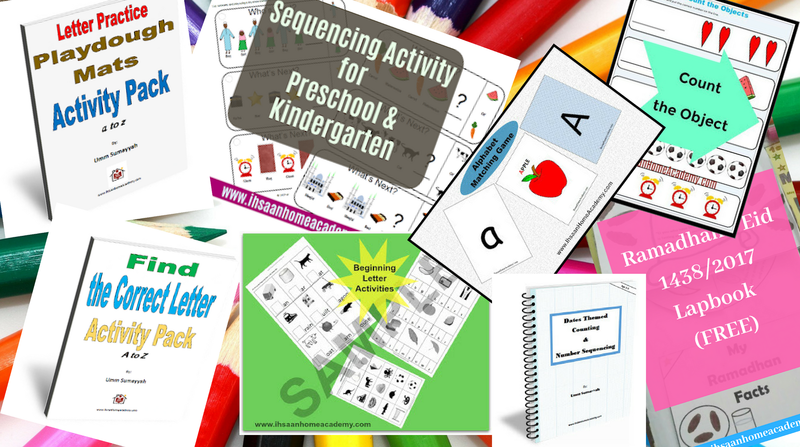 If you're homeschooling, you can also use this in your weekly or daily Physical Education course with your kids. Print it on a A4 sheet. Laminate it for better duration. Post it on the wall (optional). Use a dry-erase marker to check as you go. 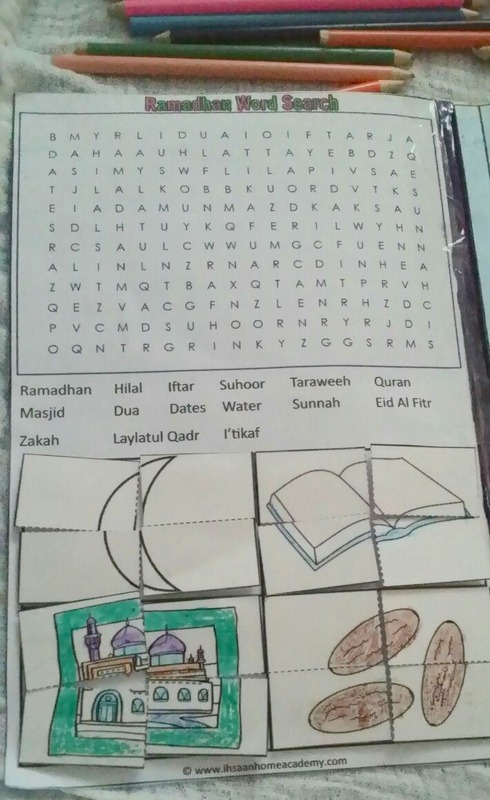 I hope you'll find this printable useful inShaa Allah. 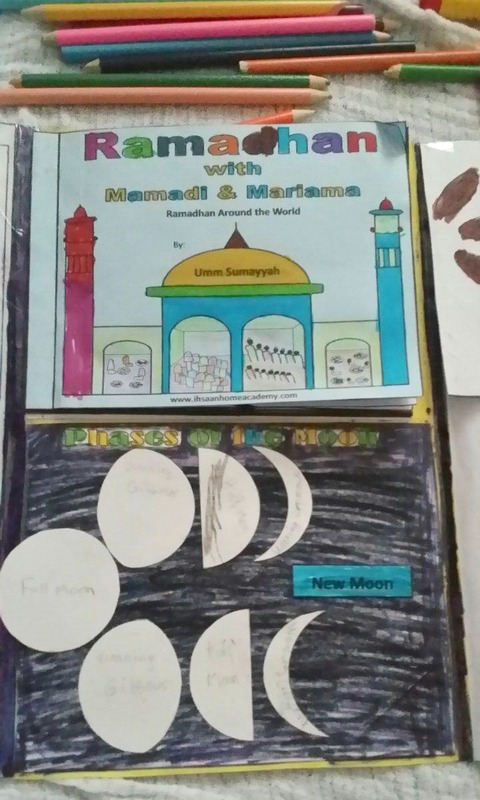 Because the Islamic calendar is based on the sighting of the moon instead of the solar one, the month of Ramadhan changes when compared to the common calendar. 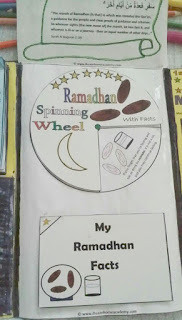 Years ago, I remember feeling happier when the fasting days were shorter during Ramadhan. 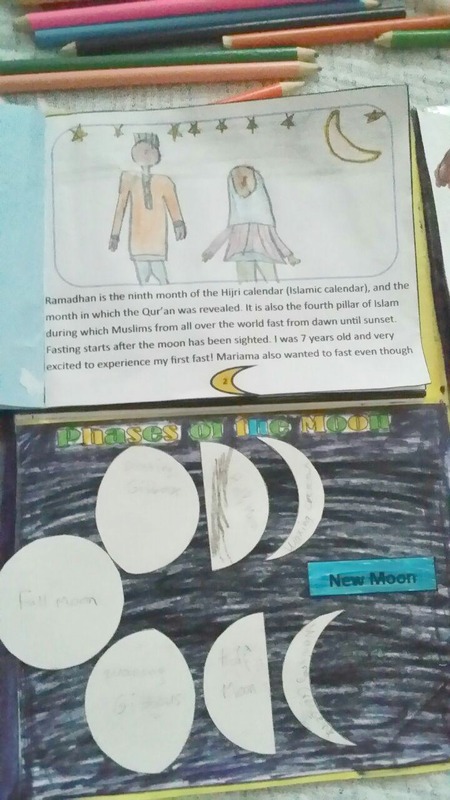 This was when the month of Ramadhan was in the winter season. 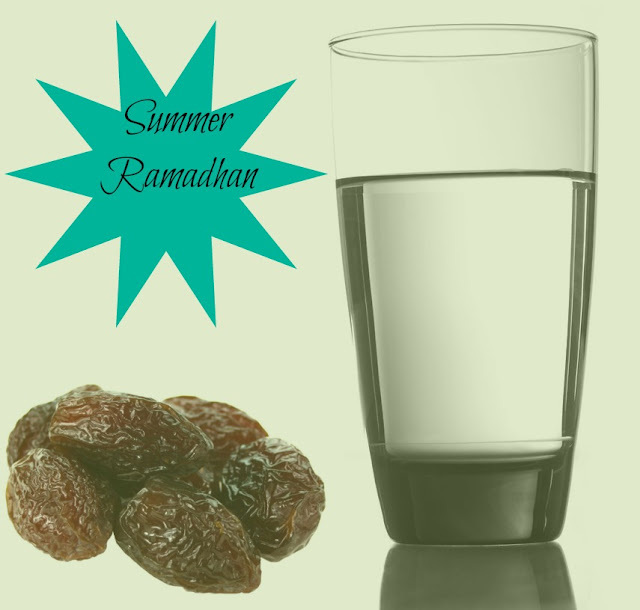 I felt like fasting was much easier because it wasn't too hot and the fasting hours were obviously shorter. 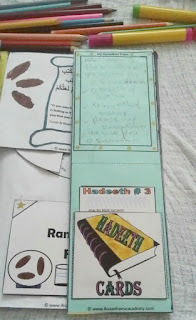 I was also happy because the nights were longer, so I had lots of time to worship, sleep, and not miss Suhoor. But now, I've gone from loving winter Ramadhans to preferring Summer Ramadhans for four reasons. 1. 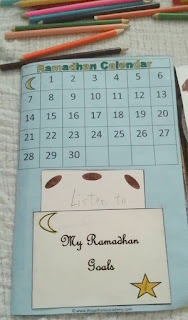 I have more time to accomplish my Ramadhan goals throughout the day. The focus of Ramadhan should always be to worship and please Allah. So me preferring one season over another doesn't take away my focus from the true meaning of Ramadhan. 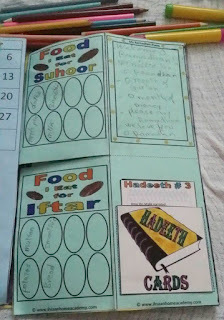 The fact that I have more time to accomplish my goals during the day makes me love Summer Ramadhans. 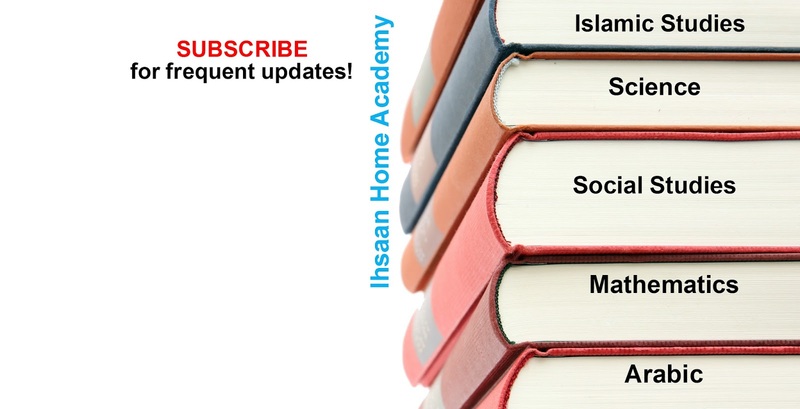 In the winter season, I always have harder time staying up to date with the goals that I set up; especially the ones involving reading the Qur'an. 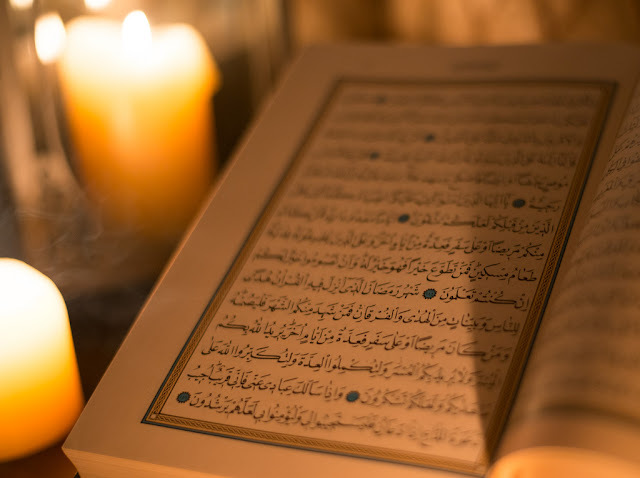 When I plan on reading few pages of the Qur'an after every Salah, I end up missing some because the days are much shorter and the times of Salah are much closer. But during the summer, the time between one Salah to another is much longer, so I'm not in a rush to accomplish my daily task. 2. I have enough time to take a nap, recharge, and keep the night for worship. Having lots of time during the day makes it easy for me to take a nap if I need to, and focus more during the night prayer. Of course, that doesn't mean I get the red light to sleep all day; of course not. It's not like that's even possible with children. The night prayer is especially important during Ramadhan, so the night being shorter during the summer helps me put all my focus on staying up and not sleeping at all if needed. 3. 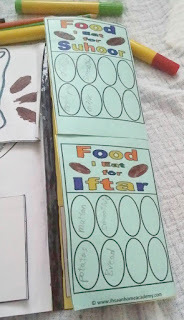 I have time to make Iftar and Suhoor meals during the day without being distracted at night. I don't know about you, but I'm usually a bit more tired once I break my fast; even if I don't eat a lot. So the last thing I want is to put the rest of my energy on cooking. 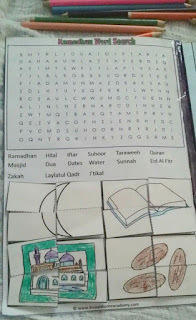 Having enough time before breaking my fast helps me plan out my Ramadhan much better. 4. 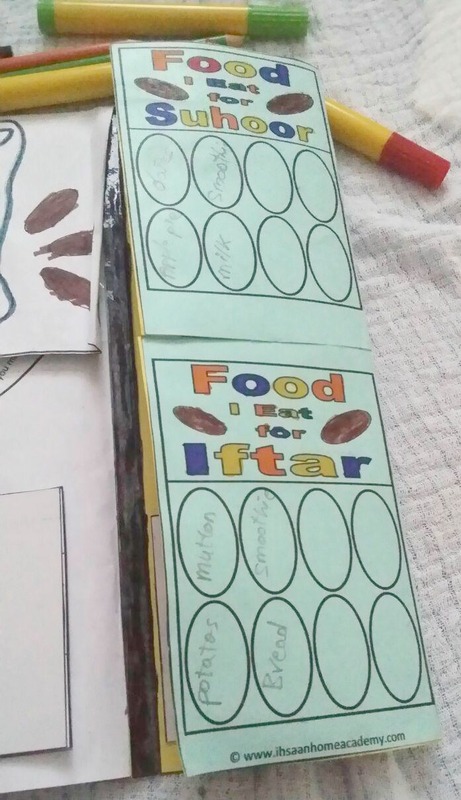 Feeling hungrier may result in more rewards inShaa Allah. Let me first clarify that the reward doesn't only come from being hungry. Fasting is more than just being hungry and thirsty. In fact, a person may be very hungry while fasting and get absolutely no rewards from Allah if other aspects of the fast weren't met. 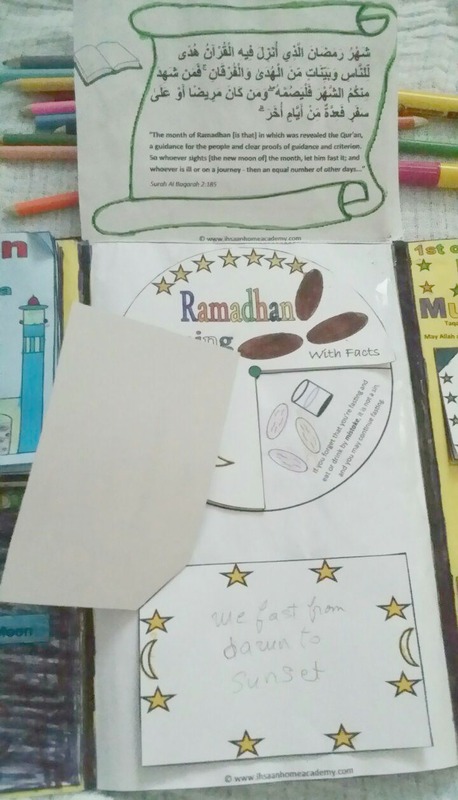 Behavior, worship, charity, and especially keeping up with the Faraa'idh (the compulsory acts of worship such as praying five times a day) are especially crucial when fasting. Sadly, many people tend to only focus on feeling hungry and remembering those who do not have food. If remembering those with no food leads to better behavior and giving charity, then great, Alhamdulillah. For me, the hunger part has an additional benefit. It helps me better control my emotions; although, I am still working on it. 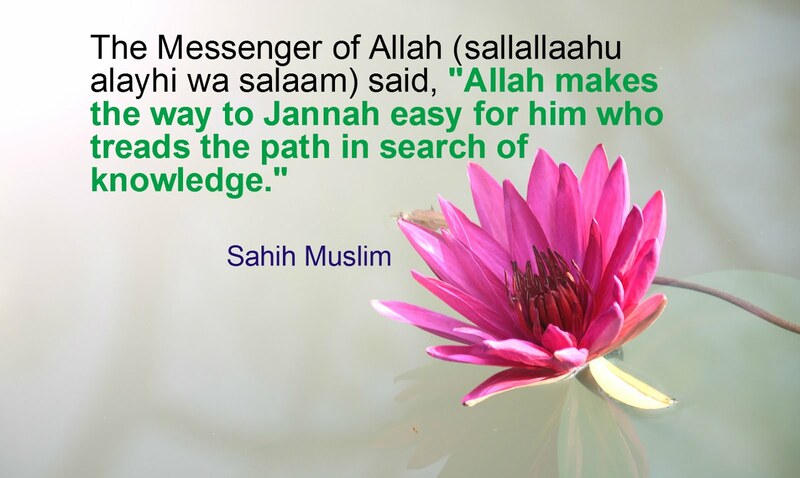 May Allah make it easy for all of us, and make us of those who leave Ramadhan as successful. I hope I'm not too late in sharing this lapbook printable. 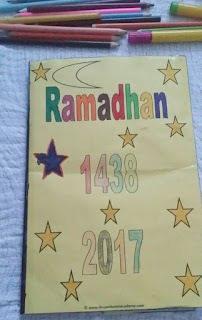 This is a Ramadhan 2017 lapbook project that I put together for children of any age. For younger kids, it may require lots of help from parents, and little to no help for older kids. 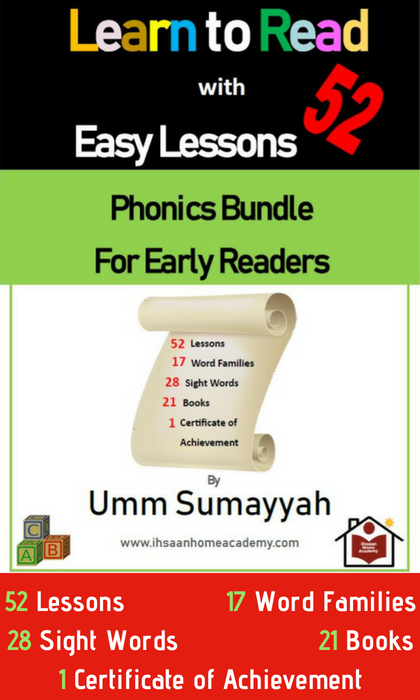 I have a printable for everything to make it easy for you, but you can modify it however you like inShaa Allah. 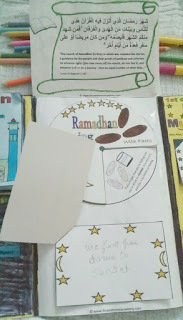 This is a great project to introduce or learn more about Ramadhan and Eid. 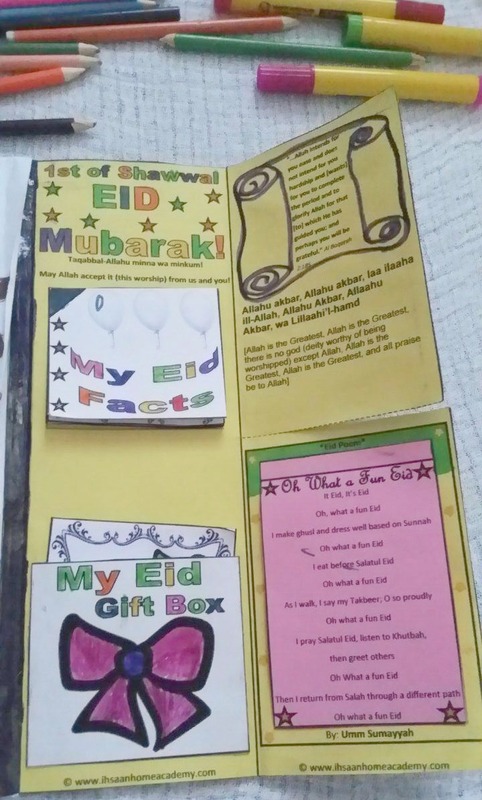 The template of this lapbook can be printed on card-stocks or glued on folders. It is up to you how you would like to set it up. After setting up the template, print out the cut-outs and glue them accordingly. 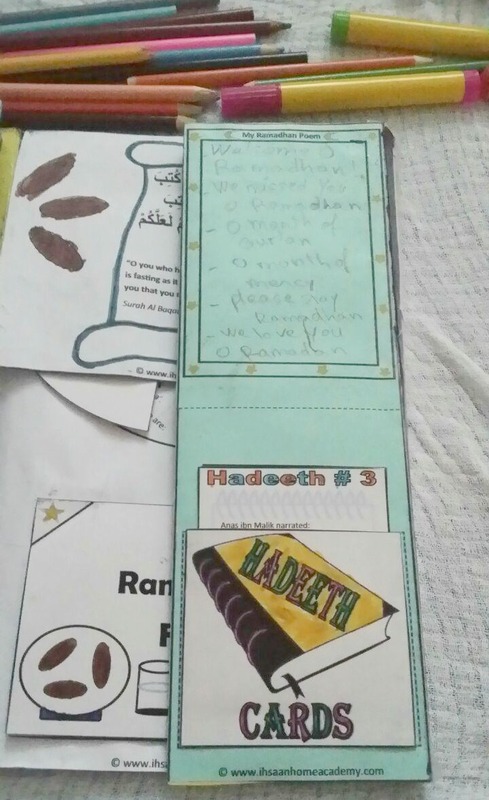 Everything is nicely outlined, so you shouldn't have any problem knowing where to glue each cut-out inShaa, Allah. 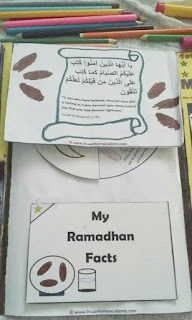 The mini book is a book about Ramadhan around the world, and it contains many Ramadhan facts. It also has empty spaces for illustration. 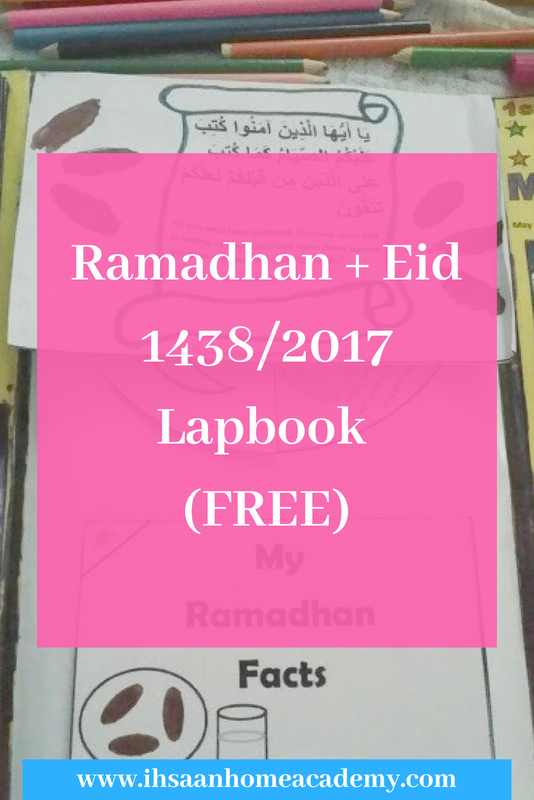 I hope this lapbook will benefit you. Let me know if you have any questions inShaa Allah.